Once upon a time in London there was an oyster bar where the publican, James Pimm, served a tonic designed to ‘aid the digestion’ made from gin and secret herbs and spices. The drink became so popular that he started serving it to other bars in the neighbourhood, and in time the oyster bars were franchised and the Pimm’s Cup brand was ultimately picked up by liquor giant Diageo. Pimm’s is to this day the official drink of high society England - served alongside Champagne at Wimbledon, the Chelsea Flower Show, the Henley Royal Regatta, and at polo matches on both sides of the Atlantic. It’s hard to imagine this same mass produced product becoming so popular if it was released today, but what if someone came along with a version that tasted as good as it did back then? 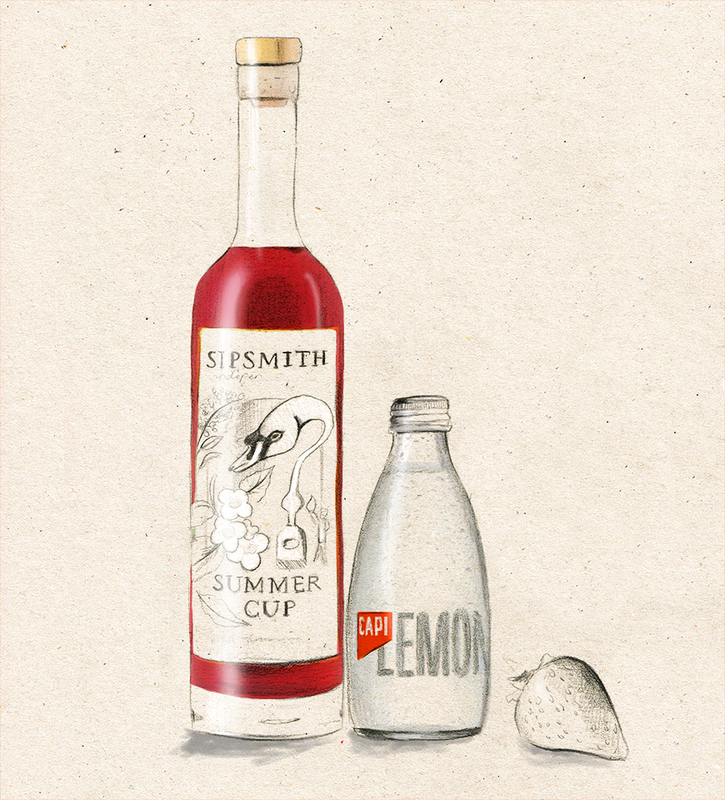 Enter Sipsmith Summer Cup (we still have no idea what goes into it, nor should we care). If you’ve ever felt like getting a little dressed up and heading out into the garden, or down to a local park, then Sipsmith Summer Cup is your drink of choice. Lightly sparkling, well balanced by bitter, sweet and sour flavours, mildly alcoholic, it’s even hydrating. Whether you make a glass just for yourself, or a jug to share (or drink by yourself as you work your way through a classic novel), this should be the official drink of any final summer weekend hurrah. - Combine ingredients over ice in a long glass and enjoy.